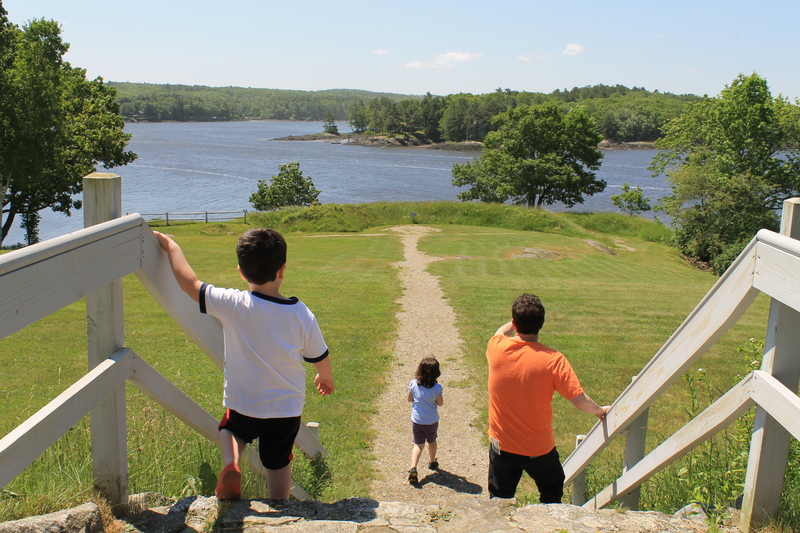 We’ve visited many parks throughout the state, but lately, we’re head over heels for Fort Edgecomb, located just outside of Wiscasset. 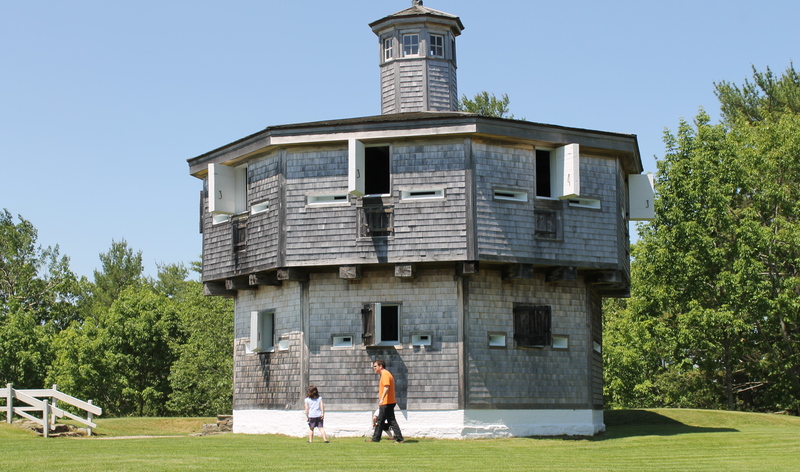 The shingled fort, a unique, octagonal blockhouse, was built in the early 1800’s. 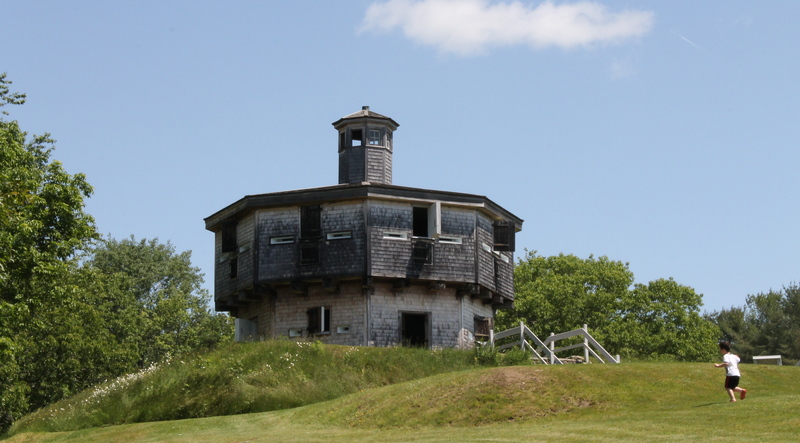 According to the Maine Department of Conservation, the fort is one of the best-preserved, small fortifications in the nation. And, in our opinion, it must be one of the prettiest historic sites in the state. 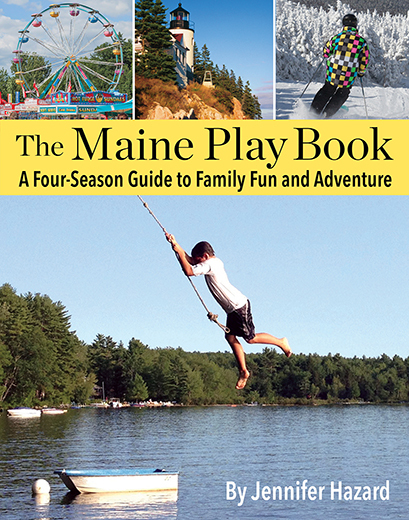 The fort sits on a lush, green landscape that overlooks Wiscasset Harbor. CP#2 was especially excited to explore the fort. 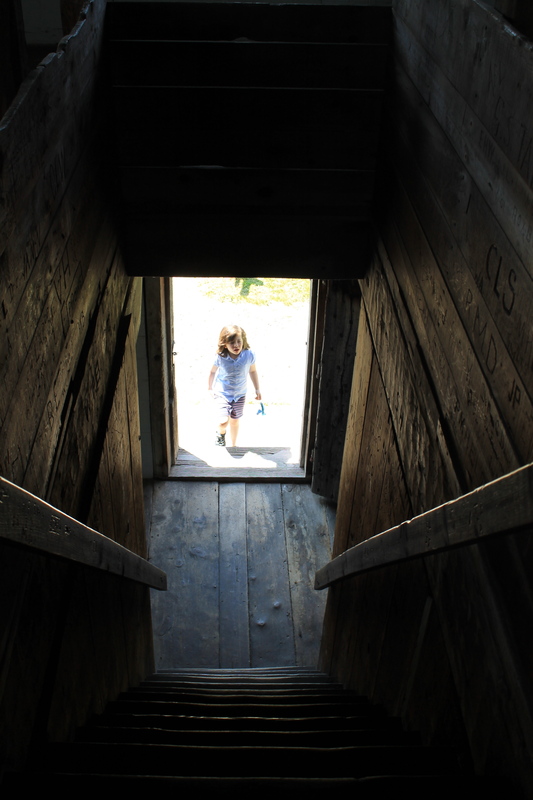 There are small windows inside that were meant for firing guns and small cannons—a delight for a nearly five-year old boy. MP was amazed by the building’s simple, albeit lovely architecture. She also loved the carvings up the steep staircase, many dating back to the time the fort was built. Steep stairs lead to the second floor of the blockhouse. 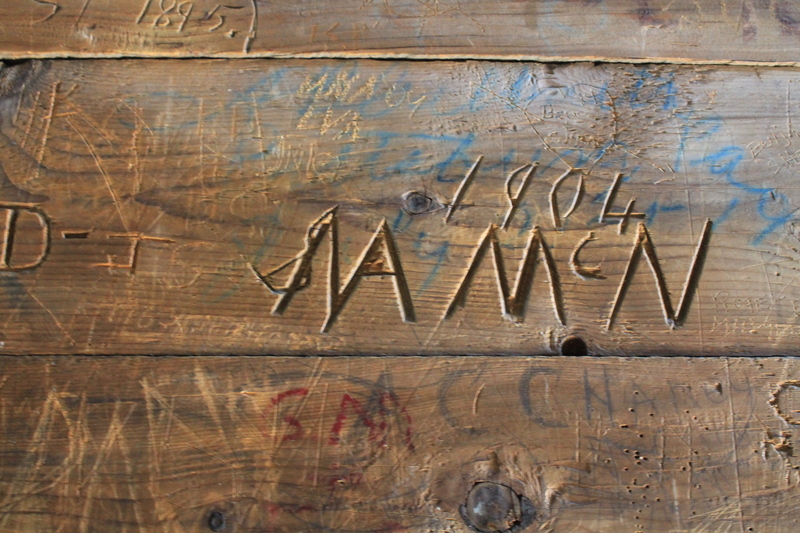 One of many carvings going up the stairway. CP#2 and DP pretend to be soldiers with muskets. 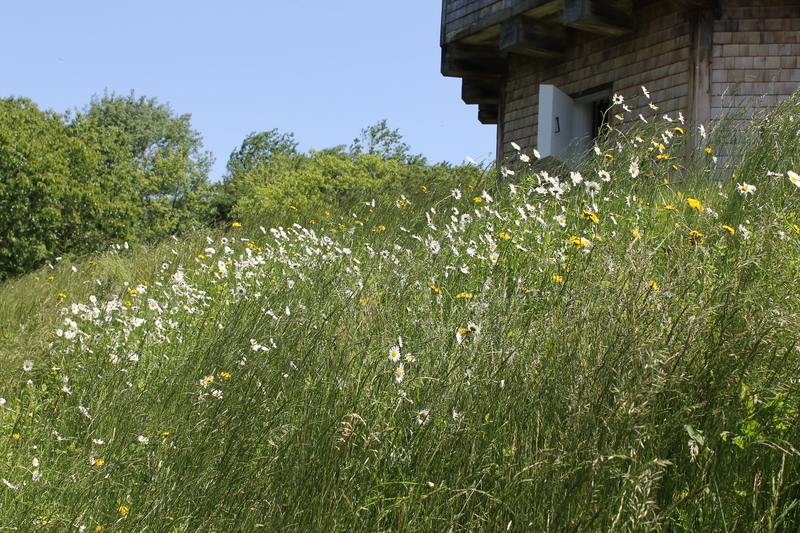 Outside, we enjoyed seeing the beautiful wild flowers, exploring the rocks in harbor, and picnicking in the fields. Amazingly, on this gorgeous sunny day, we had the place all to ourselves! 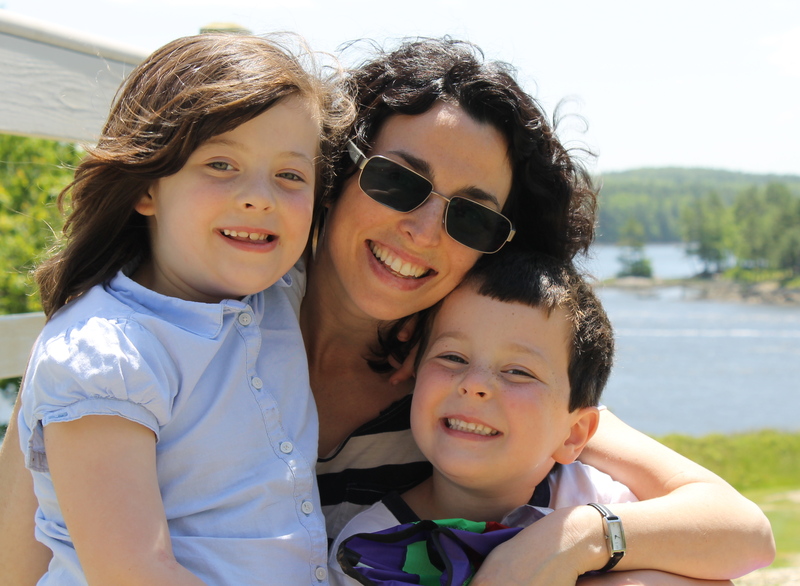 We had so much fun visiting this beautiful historic site, and can’t wait to return soon! As far as family days go, this one couldn’t be better! We love Ft. Edgecomb too! 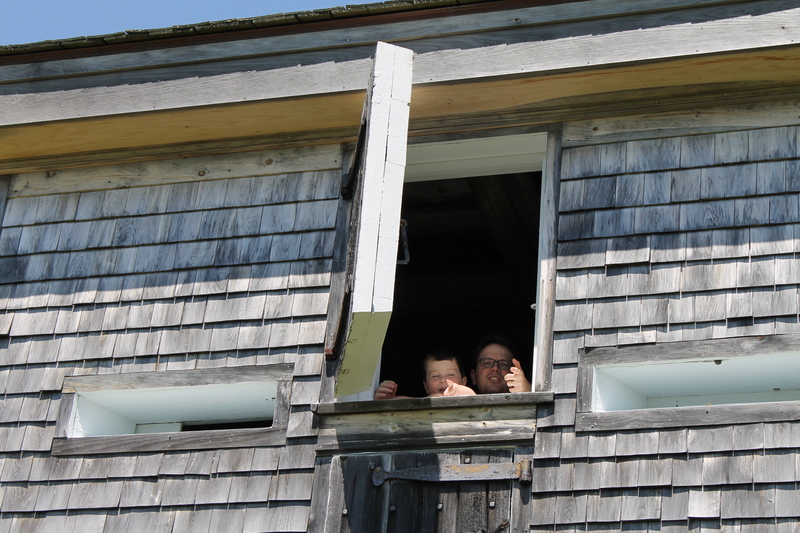 Have you ever visited Ft. McClary in Kittery (http://www.maine.gov/cgi-bin/online/doc/parksearch/details.pl?park_id=38)? If not, and you’re up for a trip in the other direction, it’s worth the drive. The fort there is a lot like Edgecomb, and the view is also gorgeous… you look out over two pretty lighthouses. We happened upon it a few months ago when chasing down more stamps for our state park passport book, and will definitely go back the next time were down that way… Enjoy! Thanks for the tip, Sara! We’ll definitely check Fort McClary this summer.